Benson Honda, your San Antonio and New Braunfels Honda dealer, is back with some exciting Honda news about Honda Stage. We’re here to report that Honda hosted its first of three free Honda Stage concerts on July 21 starring Demi Lovato! The concert was a preview of her World Tour and happened at Harry Bridges Memorial Park at The Queen Mary in Los Angeles. Honda will be uploading content from the concert on their Honda Stage YouTube channel in the near future. They’ll also be uploading exclusive content from Demi Lovato’s official World Tour as it happens. The automaker teamed up with Live Nation to put on the concert and will continue to work with Live Nation at the next two free concerts offered by Honda Stage. These concerts haven’t been announced yet, but we’ll let you know as soon as they have been! Attendees on July 21 were able to preview sounds from Lovato’s upcoming tour and try out cool technology at stations created by Pandora, Spotify, and Tumblr. This is just the beginning of what Honda Stage has to offer! Stay posted as we bring you the latest info about what Honda’s doing at major music festivals, concerts, the 2014 Honda Civic Tour, and more! We’ll also let you know as soon as exclusive video footage of your favorite musical artists is uploaded on the Honda Stage Channel. While you wait for the scoop about the tunes, we encourage you to stream some of your favorite music in a new Honda at Benson Honda! Benson Honda would like to announce a drive we’re participating in to help support Communities in Schools San Antonio and local kids as they go back to school. The Stuff the Bus School Drive will provide school supplies to local, at-risk youth in Bexar County. If you’d like to participate, you can donate school supplies to our two collection bins at Benson Honda. These bins will be at our dealership until the middle of August. Communities in Schools has been running this drive every year for 15 years. Last year, they were able to collect 24.5 tons of school supplies, with an estimated value of around $300,000. This year the organization hopes to collect at least 25 tons of supplies. This will help them provide a growing number of at-risk children in San Antonio with the school essentials they need to succeed this year. So, if you want to help out Communities and Schools and local children this school year, we hope you’ll join us at Benson Honda and donate some supplies! We think what Communities in Schools does for the community is invaluable, and we’re definitely proud to support the organization. 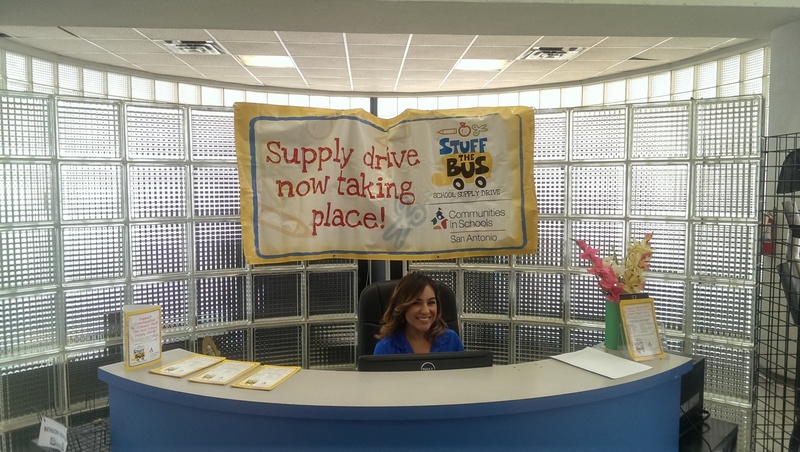 Get in touch with us at Benson Honda if you have any questions about how the Stuff the Bus School Drive works. Let’s work together to help Communities in Schools set San Antonio kids up for success for the 2014-2015 school year! At Benson Honda, we’re committed to supporting our community in every possible way we can. Please let us know about other local events, fundraisers, and drives in the comments section of this blog post. We’re always excited to get involved! Daytime running lights, active head restraints, and a next generation advanced compatibility engineering (ACE) body structure take safety and protection in the new Fit to a whole new level. The Fit has one of the most powerful 4-cylinder engines in the subcompact class. It produces up to 130 horsepower and 114 lbs.-ft. of torque. 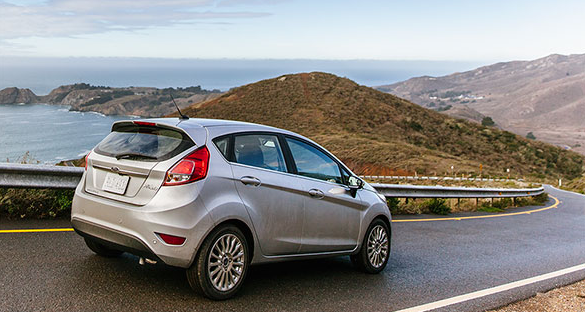 The Fiesta’s 4-cylinder engine only produces 120 horsepower and 112 lbs.-ft. of torque. The 2015 Fit outperformed the 2014 Fiesta in Car and Driver speed tests. The new Fit gets up to 41 mpg on the highway, while its Ford rival only gets up to 38 mpg. (Based on EPA estimates. Mileage will vary. Use for comparison purposes). Six-speed manual transmission is standard on the 2015 Honda Fit. Only five-speed manual is available for Fiesta, which compromises its performance on the road. The Fit also offers available continuously variable transmission, which is not an option with the Fiesta. With a wheelbase that’s 1.6 inches longer, the Fit handles better than the Fiesta. With 52.7 cubic feet of total cargo space, the Fit is a storage champ in comparison to the Fiesta, which only offers 25.4 cubic feet of available cargo space. Free roadside assistance for 5 years or 60,000 miles is a nice perk offered by the 2014 Fiesta that the 2015 Fit doesn’t offer. The Fiesta’s 500-amp battery is more powerful than the Fit’s 340-amp battery. The new Ford subcompact car’s fuel tank can hold 12.4 gallons of gas, while the new Honda’s fuel tank can only hold 10.6 gallons. The Fiesta’s turning circle is .7 feet tighter than the Fit’s. The 2015 Honda Fit is a winner in a multitude of ways! If you’re interested in test-driving the Fit, we encourage you to contact us at Benson Honda. We hope to hear from you soon!